The UK’s large and sophisticated healthcare market has a constant need for products and is very receptive to new and innovative technologies. It is divided between the public healthcare system (National Health Service (NHS)) ($177 billion) and smaller private segment ($53 billion). The NHS is funded through taxation and provides free treatment at the point of delivery for the majority of its services. Its founding principle of good quality healthcare for all, regardless of wealth, is strongly supported by the majority of the population (2014 survey: 89%). Private healthcare is mainly funded through private medical insurance. Its strengths lie in the provision of secondary and tertiary care; fields not typically available through the NHS (cosmetic surgery); or where public health services are limited (elder care, dental). The nature of the market means that private sector growth is closely linked to public sector performance, policy and funding for core services. The country’s medical equipment market was valued at $9.5 billion in 2014. It is the world’s sixth and one of Europe’s largest medical equipment markets. The U.S. is the most important overseas source of medical devices, with an estimated 20% of share of the market in 2014. It is a leading supplier of diagnostic, dental, orthopedic equipment and high quality wound care products to the UK. A number of U.S. firms are very well-established in the UK and leading suppliers of technology and e-health systems. The UK medical technology sector comprises of just over 3,100, mainly small to medium sized companies. They are evenly spread across the country with small clusters of firms situated in the Midlands and East of England. Radiotherapy equipment, neurology and cardiovascular devices were the top performing segments, in terms of turnover, in 2014. Other well performing segments included single use technology, in vitro diagnostic technology and orthopedic devices. The majority of domestically produced medical products are exported; hence the demand for products and the country’s large import market. The NHS, the principal purchaser of medical products, is traditionally regarded as one system, and receives funding from central government, but is essentially managed as four separate segments: NHS Wales, NHS Scotland, HSC Northern Ireland and NHS England. NHS England, the largest segment (82% of the UK population), is comprised of around 200 general practitioner-led (GP) clinical commissioning groups (CCG’s), which plan and commission NHS services, such as hospital care or community health services, for their local patients; 166 acute trusts, which provide hospital services; 12 ambulance trusts; and 60 mental health trusts. Most medical device procurement is done by acute trusts that have the choice of purchasing through centralized organizations such as NHS Supply Chain (www.supplychain.nhs.uk), which maintains a product catalog of “approved” medical products and services. Trusts may also buy individually, pool resources with each other for procurement decisions or work through collaborative procurement hubs. Companies favoring a direct approach can contact trusts or agencies, register on portals such as Supplying to the NHS (www.supplying2nhs.com), or search for contracts on the Contracts Finder site (www.gov.uk/contracts-finder). As it can be difficult to sell directly to the NHS from overseas, many U.S. exporters find it easier to form distribution partnerships with well-established local companies. This enables new entrants to take advantage of their partner’s market expertise as well as their access to buyers and other decision makers within the NHS. Potential suppliers can approach private sector healthcare providers, such as HCA Healthcare or Spire Healthcare, directly about procurement opportunities. The UK’s aging population is causing an increase in age-related health problems and demand for adequate social care. One way the NHS is seeking to address this is through the use of assistive technology which enables patients to self-monitor their health. The growing use of home technology is part of a trend towards a shift in healthcare provision from hospitals to community services, and the wider use of e-health technologies. Demand exists within the rehabilitation and orthopedic area due to government efforts to promote disabled and elderly independence. There continues to be a focus on preventative care in areas such as oral health, diet and fitness, to address the rise in ‘lifestyle related’ conditions such as diabetes and obesity. Within the dental market the private sector should continue to benefit from the shift of patients from the public sector to private providers. This is because the NHS limits the treatments it offers, while the private sector is able to offer more aesthetic and innovative treatments that patients are willing to pay for. Many of the leading U.S. medical device and technology providers have subsidiaries in the UK. They include companies such as Baxter Healthcare, Medtronic, GE Healthcare, Cerner and Hyland. The UK medical device industry is still fragmented with many small companies selling specialist equipment and devices. Approximately 98% of firms are classed as SMEs. The Department of Health is currently committing substantial resources in treating the following illnesses and diseases:- Cancer; Alzheimer’s; Mental Health; Parkinson’s; Diabetes; Rheumatoid Arthritis; Obesity and Diabetes. U.S. companies should not encounter any political or trade barriers to market entry. The UK adheres to EU procurement rules and conducts most buying through commercial negotiation. That said, the NHS faces considerable financial pressure and so will often make purchasing decisions based on price alone, rather than factoring in quality or patient outcomes. One hurdle that companies can face is the UK National Institute of Health and Clinical Excellence (NICE), which judges the clinical and cost-effectiveness of new and existing drugs, treatments, and medical devices. It provides the NHS with guidance on treatment strategy and influences procurement decisions by stating which products are reimbursable on the NHS. Medical devices and medicines require an appropriate CE mark or marketing license, respectively, to be sold and marketed in the UK. 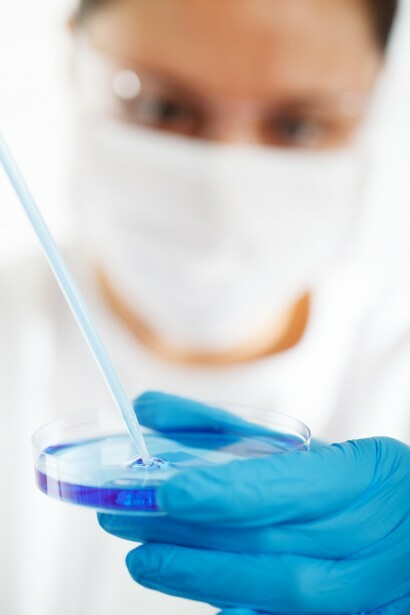 The Medicines and Healthcare Products Regulatory Agency (www.mhra.gov.uk), an agency of the Department of Health, governs the regulation of medicines and devices. NHS England conference and exhibition. Health IT conference and exhibition. Home, disability and rehabilitation exhibition. Exhibition for the medical devices manufacturing industry. Care commissioning conference and exhibition.